Voted Europe’s best George Michael tribute act Norris Stephens will be performing @ our massive We love the 90s event on Saturday 9th of March. Doors 8.30 and live on stage from 9 pm. 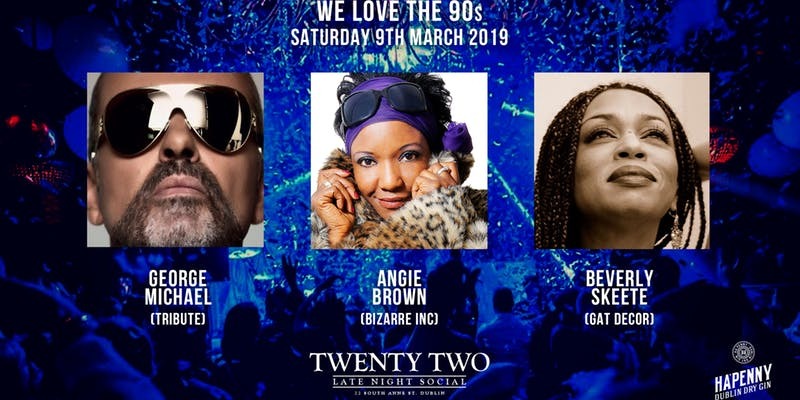 You now have (Access all Areas ) to stay for our We love the 90s club night which follows with live performances from international stars Angie Brown (Bizarre Inc) & Beverly Skeete (Gat Decor) plus DJs Tommy Stewart & Wicked Willie. If you’re a nineties music fan you really can’t afford to miss this night of nostalgia and fun. We love the 90s March 9th @ Twenty Two Dublin.